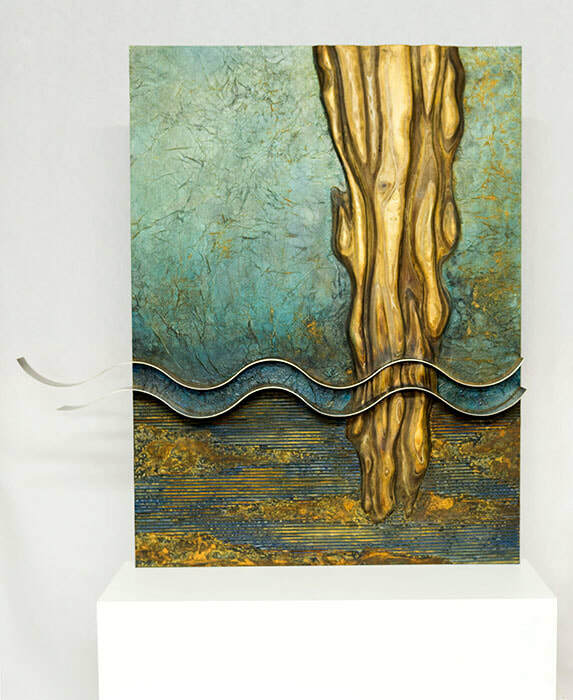 My works are mainly focused on the field of three dimensions, both in figures of round shape, as in reliefs. I follow a creative freedom that allows me to collect different aspects of reality. In my works, I try to reflect my commitment with culture and with the problems of the society in which we live. I do not consider looking for a style of my own, that is something that arises over time and evolves constantly, but I could say that my works are the product of a series of deconstructions that take the form of an abstraction, sometimes lyrical and sometimes geometric, or maybe the combination of both. 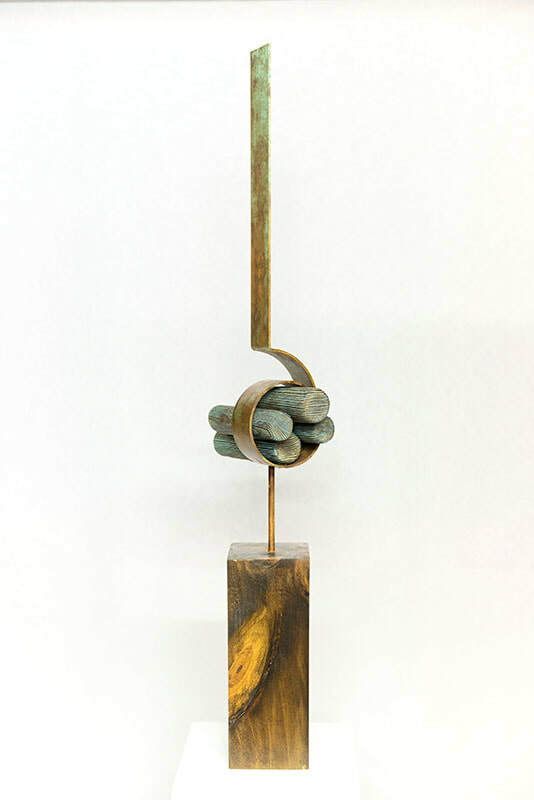 My sculptures are usually the result of the union of different materials. I treat their textures with special interest and the expressive possibilities that these materials give me. 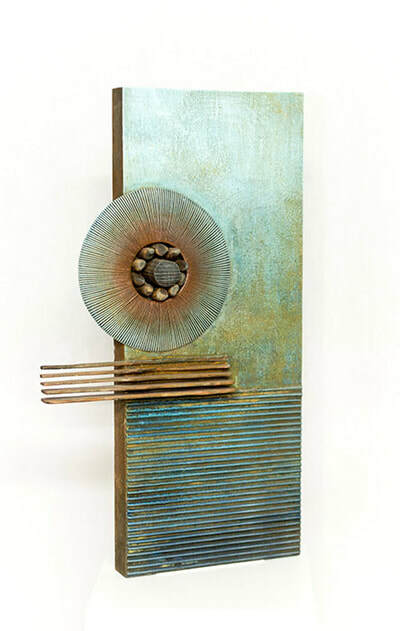 The materials and techniques used in my works range from iron and stainless steel or wood, to ceramics (stoneware, etc.). Born in Elche, Alicante, Pons is currently an art teacher in the Department of Visual Arts and Education at the IES "Carrús" of Elche. Graduated from San Carlos School of Valencia with a degree in Fine Arts, in Sculpture. He completed his training at the School of Arts and Crafts of Valencia. - AUTHOR SELECTED BY THE MEMBERS OF EL MISTERI D'ELX PATRONAGE TO CARRY OUT THE OFFICIAL POSTER OF 2013 PERFORMANCES. 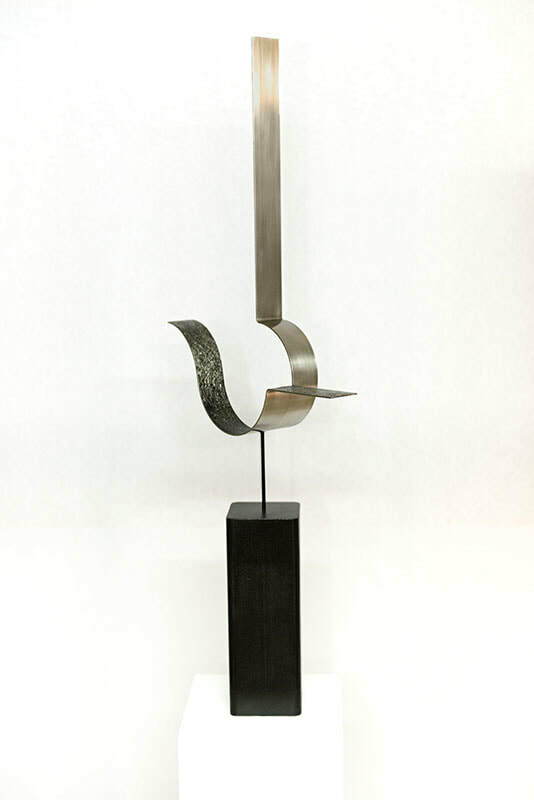 - DESIGN AND CREATION OF THE SCULPTURE THAT REPRESENTS the "Premis El Tempir"
​- DESIGN AND CREATION OF SCULPTURAL PIECES FOR VARIOUS JEWELRY COLLECTIONS.